Sada: "Christians will be protected in Iraq's New Constitution"
When we watch a science fiction film, where the main character injects gigabytes of information into his brain or assembles his own body from the material that looks like diffluent mercury, or better yet when he penetrates into the memory of a computer with the help of his own conscience, we hardly ever associate this fiction with specific technical developments that have been taking place over the last 20 years. We are not talking in this case about computer graphics and “virtual reality”, rather about more serious and very promising subject – nanotechnology. Nanotechnology is the creation of materials, devices, and systems through the manipulation of individual atoms and molecules. Among the prominent researchers in this exciting new field is Prof. Eugene Givargizov, an Assyrian professor of physics working in Moscow. Imagine an ocean of very very small robots that move molecules so quickly and position them so precisely that any extraordinary substance can be created out of ordinary ingredients in a very short time. In our bodies, these 'machines' could even cure diseases. Nanotechnology will soon control the building and formation of substances – living and lifeless. Scientists examine every single atom scrupulously and are in search of practical ways to design new materials out of these components with the given characteristics, superdense informational carrier and mechanisms. 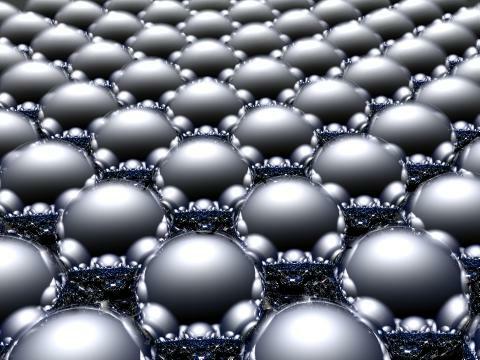 Nanopoints are the basis of nanotechnology and the component of many electrical devices. They are produced by whiskers, which were discovered during World War II, when radiolocation (radar) was widely used - from the primitive stations to the most complicated radiotechnical monsters. Nevertheless, for some reason, these settings did not function on a number of occasions. The answer to this dilemma was found in the late 1940s: while examining the stations on tin solders, which connected radioschemes, hardly discernible long metallic strings or filamentary crystals were found. They were the reason for short circuits. These strings were called whiskers, resembling a cat’s whiskers. At present time, research on growing whiskers is taking place all over the world, including Russia at the Institute of Crystallography, Russian Academy of Science. 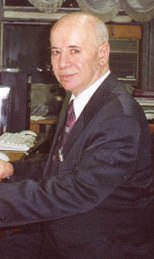 The fundamental research conducted in Russia is supervised by Prof. Eugene Givargizov – an Assyrian professor, the chief of the Crystallography Laboratory. In 2001 and 2002 Professor Givargizov received two patents in USA for his growth of the whiskers. Mr. Mikhael Givargizov invites Zinda Magazine to review the latest research findings of Whiskers Corporation at a scientific forum in Moscow, Russia. Eugene Invievitch Givargizov (Eugene Bit-Givargiz Bar-Invia) was born in 1934 in the village of Urmia (Krasnodar region, Russia) in the family of the famous Assyrian enlightener, Raabie Inwia Givargizov (Bet-Giwargis). Prof. Givargizov graduated from the local high school with honors in 1952 and the same year he entered Moscow State University and graduated from the Faculty of Physics in 1958 with honors. Since then Mr. Givargizov has devoted his life to science and work in the Institute of Crystallography, Russian Academy of Sciences. In 1965 he completed his PhD in Physics and Mathematics, and ten years later became the Doctor of Sciences in Crystallography. Growing whiskers is not the only subject matter Mr. Givargizov works on. His work also permeates the field of solid state lighting. In the next 5 to 10 years, technical revolution is predicted to take place in this sphere, when incandescent lamps and luminescent lamps will be replaced by solid state lamps as they are more economical and practical. 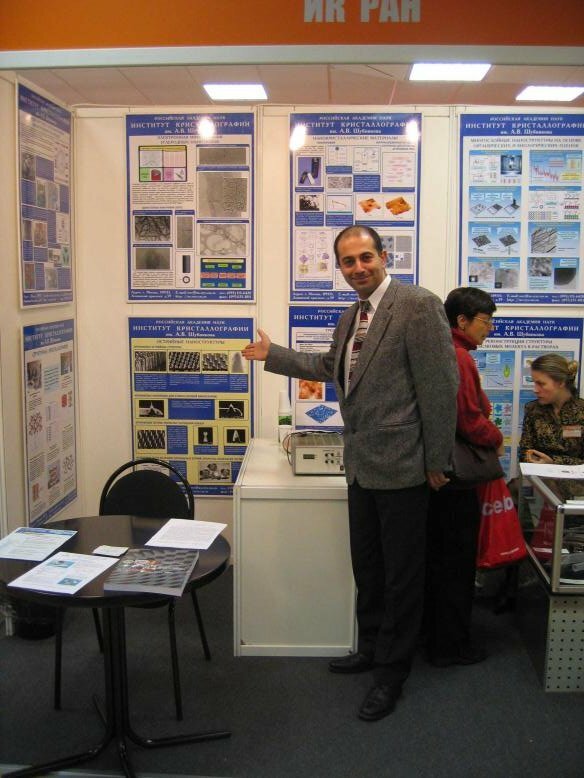 Mr. Givargizov has over 200 published articles in scientific journals, including the American journals; four books, two of which were also published in English. These books were specially ordered by the American and Japanese publishing houses - Plenum Press (New York) and Terra Scientific (Tokyo, Japan). He is also a member of the editorial boards of such international journals as Progress in Crystal Growth (Pergamon Press, UK) and Innovations in Materials (Springer, Germany). Due to working in close collaboration with the American scientists, Mr. Givargizov has visited USA on many occasions. In 1982 and 1990 he worked on research with the American scholars at Stanford University in Palo Alto, California. Mr. Givargizov's youngest son, Mikhail, followed his father’s steps and graduated from Moscow State University (Faculty of Physics). The main focus of Mikhail’s research is the implementation and commercialization of developments that are based on scientific results drawn from the fundamental research findings by Prof. Eugene Givargizov. To learn more about the company created by father and son click here. Patent of Russian Federation 2099808 "Method and apparatus for growing oriented whisker arrays"
Patent of Russian Federation 2118011 "Field-emission triode, device based thereon and method for producing thereof"
Patent of Russian Federation 2127465 "Methode for preparation of luminiscent screen"
Patent of Russian Federation 2144236 "Cathodoluminescent screen"
Patent of Russian Federation 2214073 "White light source"
Patent of Russian Federation 2240623 "Tip structures, devices on their basis, and methods for their preparation"
US 5,825,122 "Field emission cathode and a device based thereon"
US 6,458,206 "Cantilever with whisker-grown probe and method for producing thereof"
US 6,306,734 "Method and apparatus for growing oriented whisker arrays"
US 6,451,113 "Method and apparatus for growing oriented whisker arrays"
US 6,861,791 "Stabilized and controlled electron sources, matrix systems of the electron sources, and method for production thereof"
European Patent 0726589 "Veldemissiekathode en een deze kathode gebruikende inrichting"
European Patent 1027717 "Cathodoluminescent screen with a columnar structure, and the method for its preparation"
Deutsches Patent- und Markenamt 698 26 142.9-08 "Cathodoluminescent screen with a columnar structure, and the method for its preparation"
Chinese Patent 1127749 "Cathodoluminescent screen with a columnar structure, and the method for its preparation"
(ZNDA: Baghdad) As Iraq’s first democratically elected government was sworn in yesterday, the new Prime Minister, Ibrahim al-Jaafari said he would unite a nation divided along religious and ethnic lines. The new appointments come as insurgents have claimed over 170 lives in the last 6 days. The new government’s cabinet currently has 15 Shiite Muslims, seven Kurds, four Sunni Muslims and one Christian with several positions still to be filled. Ms. Basima Potrus was appointed to the Ministry of Science and Education. It is widely believed that the insurgency consists of mostly Sunnis, according to the Associated Press. Many Sunni Muslims who belonged to the Saddam Hussein’s Baath party, were part of the ruling minority during the former regime. Many did not participate in the January 30 elections. Meanwhile, Iraqi Christians will also have a part in the the drafting of the new constitution, scheduled to be finalized in August, according to Georges Sada, a Christian who was an adviser to the outgoing Prime Minister Ayad Allawi. “Some of the Christians will be members of the committee which is going to be nominated after forming the new government of Iraq,” Sada said in an interview with Christian Broadcasting Network a few days before today’s swearing in. He was confident that Christians and other minorities would be protected under the new constitution. “These are going to participate, to write, and insure that our rights are there in the constitution,” he said. Christians in Iraq make up about three percent of the entire population. Most are Assyrian Christians, with much smaller concentrations of Protestant, Evangelical, Roman Catholic and Orthodox Christians. I greet you in peace and with respect. You are now in a position worthy of your status and a source of happiness for me and pride for the worldwide Assyrian-Chaldean people. A substantial number of Assyrians and Chaldeans live in their ancestral land of Mesopotamia (today's Iraq), where the greatest and most valuable ancient Assyrian artifacts - of which many have been stolen - exist and upon which the eyes of the Assyrians and Chaldeans of the world are focused. I offer my own and the worldwide Assyrian-Chaldean people's sincerest congratulations on the occasion of your election. I hope that His Almighty will continuously help you to commendably lead the sovereign nation of Iraq, and I expect that in respect to the situation of the Assyrians in your country praiseworthy steps will be taken in placing Assyrians and Chaldeans in varied and valuable government positions. (ZNDA: Yerevan) Today there are 4000 Assyrians in Armenia. According to Razmik Khosroev, member of the National Minorities Council attached to the RA President, today the most urgent problem for the Assyrians is that of education. According to Mr. Khosroev, the last school textbook in Assyrian was published 15 year ago, and students have to get education in Russian. The Assyrian schools are closed because of the overall reduction in the number of classes. According to Mr. Khosroev, the reasons of the above mentioned problems are the shortcomings of the educational system in Armenia. “If it weren’t for the law that there must be at least 20 pupils in a class, there would be more classes in our schools and henceforth the schools would not be closed”. There comes a time in the life of every nation when its children must continue the procession of light to enlighten the dark spots so that truth may not be hidden. Congratulations on this move and may the Zinda become the beam of light for the just Assyrian Cause. Dr. Freidoun Atouraya along with all the Assyrians who paid the ultimate price would have been very proud and Malpana Naum Faiq's words would always toll for hope and freedom lest we forget. Awake and see the world how enlightened. Awake son of Assyria, Awake! In vengeance you will take refuge. Rise up and band together to strengthen. Congratulations on your new location in Washington D.C.! This is a historic step for your organization and our great Assyrian nation. It is important to create visible Assyrian structures by which our nation can function, and link our institutional settings to the power nucleus. The impact of this move will have far-reaching affects. Good luck, and alaha Ashur be with your entire crew. Congratulations on your move to DC - a very wise move to be near the center of everything...and now we need to let the world, but especially the US know that we exist and that we are united. I remember a year or so ago, Bill O'Reilly of Fox News made a statement that there were no more Assyrians left...imagine - a friend sent our emails to all her friends and we bombarded O'Reilly with emails letting him know if no uncertain terms how wrong he was...he apologized. Now I think the governor of California should be reprimanded (maybe reminded is a better word to use) that the Genocide of 90 years ago that he attributed to Armenians only (!) included some 750,000 Assyrians. As a publication dedicated to promoting Assyrians, should that "reminder" come from Zinda? I think it would be a wonderful opportunity to inform the Governor, maybe gain some publicity, and most likely be rewarded with an apology, which you should print in Zinda to alleve the negative impression left by the headline and story about the Armenian Genocide. Thank you, and good luck in your new venture in our nation's capital city. And you picked such a beautiful time to move. On behalf of the Assyrian Society of Canada I wish you prosperity and success in your new headquarters. Please continue your diligent work on behalf of the Assyrian Diaspora. This is a long overdue announcement that all of us wanted to hear. Zinda's move of their main offices to Washington D.C. is, in my estimation, a great strategic move and the key that will open many doors to the most powerful and influential people that have never before been called upon by Assyrians. Furthermore, and for years, many of our organizations have been talking about the need to actively lobbying for the Assyrian cause. This now is a reality and I am sure it is a milestone and a destination for all of our organization and parties to be briefed and guided to know on which doors to knock first. Congratulation and may you achieve what you wish for. You make us proud. I would like to congratulate you, for your accomplishments in raising the standard of your publication, to a level of compatibility in the education, and political fields. Good luck with your new location. Congratulations on such a proper and advanced thinking of your move to washington D.C. at these sensitive times. Wishing you success and productivity as you serve our beloved nation. You have our full support and loyalty. A warm welcome to Washington DC! I wish you all much success in continuing to put out the best news source for the Assyrian community. My family and I are so happy to congratulate you and your crew for such great achievement. I hope your institution will bring a bright light full of unity among all Assyrian all over the world. We will pray that Zinda might have such offices in every capital of the world. Well done Zinda Magazine! Congratulations on your move to Washington DC. Hopefully, from there you will be able to lobby the powerful American Administration as we Assyrians lobby the governments in our nations. Best of luck and hopefully we can all make a difference in the Assyrian Struggle. Chebu Bnooneh Taveh ‘d Umta Atoor. I am very glad and excited. I would like to congratulate you and Zinda magazine on your important move to D.C. This move is not only strategic for all Assyrians but it represents the further success of Zinda in becoming the top opinion leader/ maker and information source for the entire Assyrian Diaspora. Zinda has been an asset for the Assyrian nationalists (umtanaye) for many years. I believe that the future success of Assyrian nation lies in the secular and educated academia and in the professional journalistic and political branches of our nation. Zinda has brought these branches meticulously and successfully together. In my humble opinion, secularism without faith in the Lord is undesirable; however in the matters concerning politics only, I believe that it is time for the religious leadership of our nation to relinquish the torch to the rising Assyrian political establishment. Our once greatest nation Assyria should learn one thing or two from our adopted greatest nation the United States of America and D.C. is the place for this learning experience. Zinda: Our staff in D.C. thanks our fans and readers for the many congratulatory cards and bouquets of flowers we received in the past few days. We humbly and enthusiastically accept the challenges of future. As the sign in our office reads: "Because Assyrians Deserve the Best." In your April 30th issue of Zinda magazine, Nineveh Givargizova asked whether there were any Assyrians living in Poland. Indeed, a friend of ours, originally from Kamishly, Syria lives in Poland. He is the well known Dr. Mikhael Abdalla who is a Professor at The University of Agriculture, Faculty Food Tech. in Pozna, Poland. He authored many books about the Ancient Assyrian cuisine, food, and agriculture in ancient Mesopotamia. Keep up the good work and good luck on your new mission in Washington, DC. Here I am again sending you a comment on the interesting article contributed by Wilson Benjamin from California, "An awakening call to our Assyrian Nation worldwide". You should know that my family personally knew Petros Ilia (so-called "Agha Petros"), one of my relatives was even his (or one of his) bodyguard(s) in Lausanne in 1923. Obviously That relative (called Taver Challo) is long dead now so are all those of my family who lived through those times. But what I know is that Taver complained that "Agha Petros" DID NOT forcefully defend the Assyrian cause, I even understand he took the opportunity to be in Lausanne to ask what would become of HIM (emphasis mine) - he was probably suggesting that a man of his "rank" should be entitled to a rent- ! this coming Saturday. We will be back next Wednesday, 11 May. The fact is that the spirit of Assyrians in France was put down by Petros Ilia himself. I am surprised to see how Assyrians worldwide are blind to the shady past of that man. I am aware that Taver' comments concerning the poor drive of Petros Ilia to defend Assyrians may be WRONG. So my question is: Can the Assyrian petition handed over at Lausanne along with the minutes of "Agha Petros" ' s speeches be available on Zinda Magazine ? This would be very ENLIGHTENING and I am prepared to change my opinion (NOT FAVORABLE at present) about P. Ilia' s rights to be considered a "great" Assyrian. I do long to have my own opinion of Petros Ilia' s motivation for the Assyrians based on real documents and facts others than those related by my family (although these should be taken into account too). According to my family he did not care for Assyrians, he cared only for himself. Now the English (along with their Allies) had a VERY LOW opinion of Petros Ilia (in Zinda' s archives the memories of a Russian adviser during W.W.1 will bear me out on this point). So is it any wonder if the Assyrian petition went into the dustbin of History (Assuming Petros Ilia presented the Assyrian Rights with real motivation ...) ? Keep in mind though that I do not know any Assyrian today whose family was in contact with Petros Ilia who cherishes his memory. Congratulation to the Assyrian people in occupied Assyria for the recent appointment to science post in the cabinet of Mr. Ibrahim al-Ja'afari. Our achievement has reached a new depth. We first attained the ministry of transportation, then it was the immigration and now finally the science. Our Arab and Kurdish neighbors could not have given us a better hint to get out and stay as far away as possible. In fact they want our next destination to be the moon. This is why they have appointed an Assyrian to the science cabinet post. Our next achievement should be to develop the technology to fly all Assyrians to the moon, where we could no longer face harassment from Arabs or Kurds alike. It’s God’s will that there will never be peace in Iraq as long as our people are subjected to this type of suppression. When will our religious and political organizations in Iraq wake up and realize this game? Do the Arab and Kurdish cohorts have to give it to us in writing? How insignificant do we have to be made in order for our religious and political leaders to work together against this conspiracy? I have been speaking about you here in Portugal. This may look ridiculous to you, but for the Portuguese young guys at my University, I have spoken about the actual Assyrian people. At first they do not believe... A lot of Portuguese thought that you were finished a long time before Christ. Anyway, they stay very interested and I do not know yet if some of them have been to your web, at least to look for your music. Receive my congratulations for your beautiful place at work and for your communications. I am always looking for and when I arrive to Washington I shall call you but, you see, first I must return to my home at Sweden - I am an Israeli in exile because I defend the Palestinian cause. After that I'll travel to China for some conferences and from there I will go to Paris - Sorbonne University, then to Harvard and Washington D.C.
heritage of Christianity, but will consider all sorts. If there is Syrian Orthodox news in your part of the world, please feel free to report this to us. News articles should be as timely as possible. Everyone is welcome to submit articles. One needn't be part of the Antiochene Syriac Orthodox Church to write, though most authors are affiliated with the Church. Articles should be between one and five pages long. If you have photos to send, please make sure they are public domain or that you have the copyright. Sending photos to Shroro grants Shroro the permission for electronic or print use. If you become a regular contributor, please send a photo of yourself so that we may include it with future articles. According to tradition, Christianity in India was established by St. Thomas who arrived in Malankara (Kerala) from Edessa in A.D. 52. The close ties between the Church in Malankara and the Near East go back to at least the fourth century when a certain Joseph of Edessa traveled to India and met Christians there. The church in Malankara is an integral part of the Syriac Orthodox Church with the Patriarch of Antioch [His Holiness Moran Mor Ignatius Zakka I Iwas] as its supreme head. The local head of the church in Malankara is the Catholicose of India [His Beatitude Baselios Thomas I], ordained by and accountable to the Patriarch of Antioch. 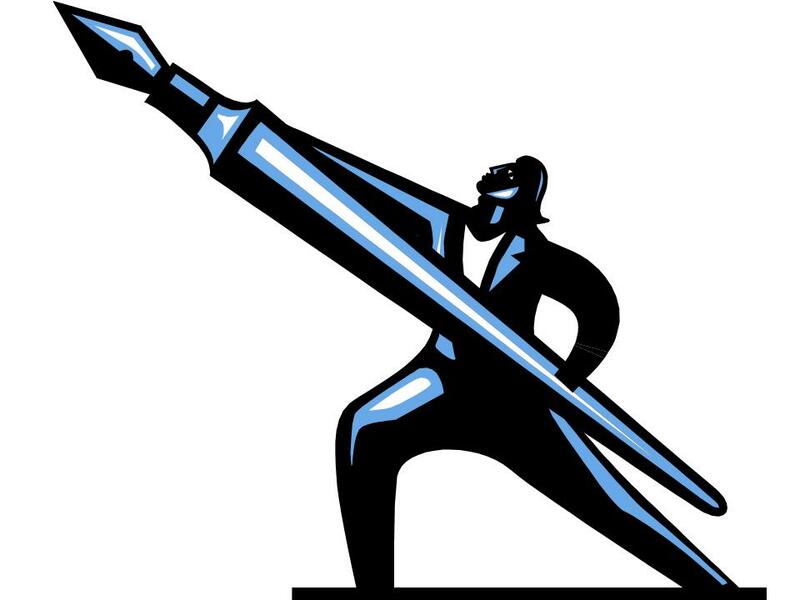 If you'd like to exhibit your artwork on our site, please email us regarding your artwork. 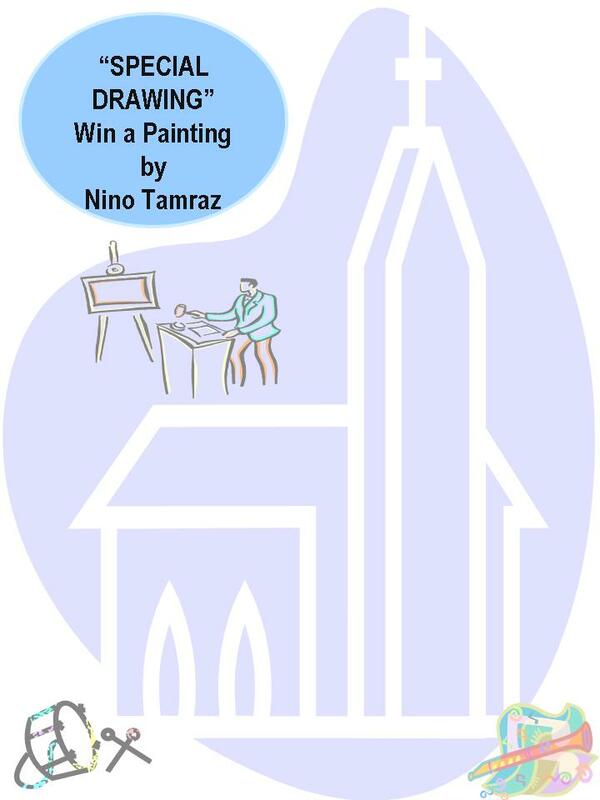 Drawings, paintings, icons, and graphic design will all be considered. Are you tired of boring weddings and dance parties? Are you sick of watching our entertainers only in banquet halls? Do you want to see a full 10 piece band playing to your ears content? 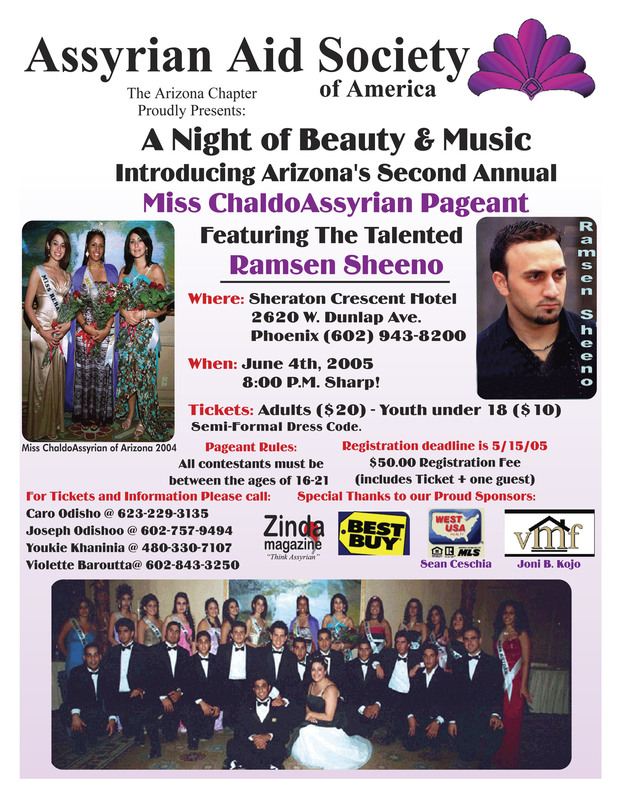 Well... be the first to see live in concert the greatest selection of Assyrian Entertainers under one roof. 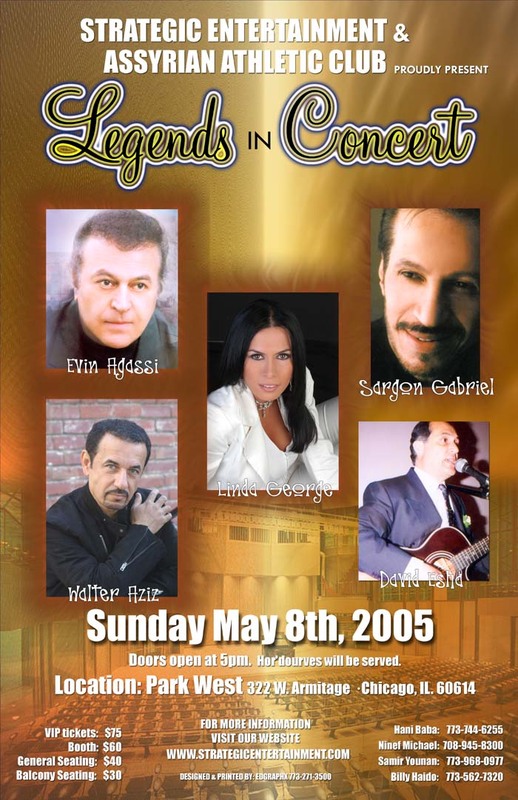 Join Evin Agassi, Sargon Gabriel, Linda George, Walter Aziz and David Esha as they perform their greatest hits live at the beautiful Park West Theater in Chicago’s Lincoln Park Area. On Thursday, April 28, 2005, Dr. Ibrahim al-Ushayqir (al-Ja'fari) finally presented his cabinet members (although incomplete) to the Iraqi National Assembly (Parliament). From the 275 representatives in Iraqi parliament, 185 were present and voted. After debating the list, 180 approved it, five rejected it, and it passed consequently. Mr. Goriel Isho Khamis, Kurdistani Communist Party. What Mrs. Zomaya commented in parliament was expected, since many observers, including this writer, have anticipated such role by Mrs. Zomaya and the other three Christians. In her remarks in parliament, Mrs. Zomaya reflected dissatisfaction on how the new Christian Minister of Science and Technology in the al-Ja'fari cabinet, Ms. Basima Yousif Potrus, was selected. Mrs. Zomaya stated that the Prime Minister did not consider the voices of the four Christians on the Kurdish slate. According to her, they make the majority of the Christian bloc in the parliament. Mrs. Zomaya continued to claim that Mr. Yonadam Kanna is not the representative of the Christians in Iraq and that it is she and the other three in her bloc that represent the Christians. Dr. Hikmat Hakim is a Communist and the prime minister is a conservative Shi'aa Moslem. The prime minister has obligation to his majority conservative followers. 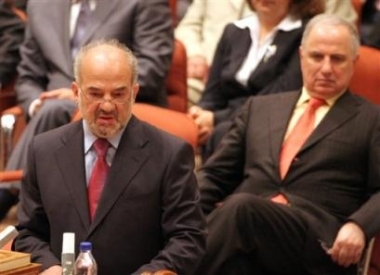 Prime Minister Dr. al-Ja'afari understood that if he accepted Dr. Hakim as minister, then he, the prime minister, is in reality increasing the Kurdish influence in the cabinet since Dr. Hakim will be counted on the Kurds as well. Furthermore, it is well known that today's Communists in Iraq are strongly influenced by Kurds. On Friday, April 29, Mrs. Zomaya was interviewed by Radio Free Iraq and she repeated the claims she made the day before in parliament. She stated that there were six Christians (and she referred to them as Chaldeans, Syriacs, and Assyrians) in parliament and that they (the four who are part of the Kurdish coalition) make a majority (i.e. 4 out of 6). Therefore, the voice of the four must rule. She stated that they presented their own candidate for the Ministerial bag (referring to Dr. Hikmat Hakim) but the Prime Minister Dr. al-Ja'fari defrauded them. The four Christians in question make a political bloc in the Kurdish slate # 130 of Barazani and Talabani. These four need to be reminded that during an election, when a political alliance is made between a small bloc or a group of individuals and a bigger and more powerful one, the latter must give something in return when it wins in those elections. 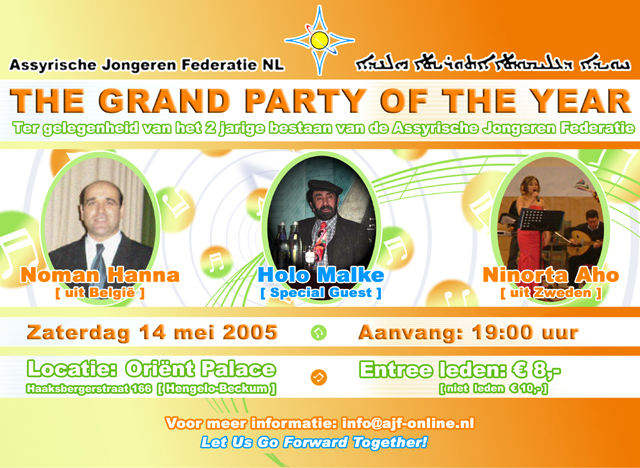 The four Christians worked very hard in their campaign for the Kurdish slate # 130. If that is the case, the empowered Barazani must reward these four Christians for their outstanding devotion and hard work for the Kurdish slate. Therefore, if these four Christians wanted a ministerial seat in the new Iraqi cabinet, they should ask for it from the Kurds and Barazani since the Kurds have a specific number of cabinet bags assigned to them. Mrs. Zomaya cannot confront and ask for that minister bag from the Assyrian Democratic Movement (ADM) that headed slate # 204. Of course, slate # 204 (ADM) won in the elections as an independent slate; therefore, it is entitled to participate in the cabinet and has its own minister. Politically speaking, Mrs. Zomaya and the rest of her group are part of the Kurdish coalition and they are obligated primarily to the Kurds. We might have some flexibility in the West where for example an Assyrian member of a foreign coalition or party might take part in certain limited activities to benefit his/her people. In Iraq, the political and cultural scene is completely different due to the fact of the struggle that exists between the Kurds and every other ethnic group in Iraq. The Kurds have plans of greater independent Kurdistan. These plans infringe on, and are in conflict with, well-known historical territories that belong to Assyrians, Arabs, and Turkomans. When an Assyrian is joining a Kurdish coalition and he wins because of that coalition, his/her loyalty is not for the benefit of the Assyrian people, but rather, and to a large degree, to Kurdish agenda, whether he/she admits to that or not. Fact is that Mrs. Zomaya and the other three in her bloc could not be the representatives of the ChaldoAssyrian Christians of Iraq. Her claims are simply ludicrous and legally false. Mrs. Zomaya and the other three won their seats in parliament because of the Kurdish votes and not the ChaldoAssyrian votes. Lets face it, the Kurdistan Democratic Party (KDP) under Barazani is not going to bring an Assyrian into Iraqi parliament to work on Assyrian national cause. The Assyrians in north of Iraq might have had some limited political freedom in 1992 and the following years until the fall of Saddam. It is true that the ADM participated in the north of Iraq parliament in 1992 and worked with Kurds because all Iraqi opposition groups were facing one enemy, i.e. Saddam Hussein, at the time. It was a strategic and natural move for the ADM. They had to operate freely somewhere and when the ADM could not do that in Baghdad or any other region under Saddam, north of Iraq under the No-Fly Zone was the only logical region. After thirteen years, the Kurds have successfully gained complete control on Sylaimaniya, Arbil and Dohuk with the millions of dollars in grants from the West and billions more from the transit taxes on oil and other goods along the Iraqi borders. Today, they are on the brink of taking parts of Mosul and oil rich Kirkuk. With the fall of Saddam, the ADM entered the Iraqi national elections of January 2005 as an independent slate and relied on the votes of its own people to succeed. Meanwhile, in the northern Kurdish controlled region the ADM joined the Kurdish united slate in the elections. This, in my personal opinion, was a well-calculated move. Kurdish leadership has proven that it is anything but democratic; therefore, it was not in the interest of the ADM to run independently and show any signs of challenge, regardless to how strong or weak that challenge might be. The Kurdish leadership under Barazani has paid off many Christians in the region, including priests and bishops, renovated certain churches with the reconstruction money allocated to north of Iraq Kurdish regional government. This money is not Kurdish money. The Kurdish leadership is not doing the Assyrians any favors. This money is in the final analysis Iraqi oil money. Assyrians are entitled to these monies, and much more of it, to reconstruct the two hundred destroyed Assyrian villages and many churches in north of Iraq. This destruction came because of the Kurdish and Iraqi army conflicts throughout the decades. These paid clergymen are today the Kurds' strongest allies. The Kurds have begun their campaign already to use those four Christians in Iraqi parliament against the only true representative of the ChaldoAssyrian Christians in Iraq, i.e. Mr. Yonadam Kanna (Slate # 204), who won his seat because of the vote of his own ChaldoAssyrian Christians. The Kurds worked hard to prevent the appointment of slate # 204 nominee, Ms. Basima Yousif Potrus, through their four Christian allies but failed thanks to the stand of many patriotic Iraqis. Mr. Sam Shlimon, a very vocal spokesman for the Assyrian Patriotic Party (APP) in Canada in the past (not aware of his present affiliation), posted his thoughts about the speech of Mrs. Zomaya in parliament on many Internet forums. Mr. Shlimon passionately praised Mrs. Zomaya and described her as the Assyrian Tsunami (or thunder by few others). I need to remind Mr. Shlimon that almost quarter of a million of people died and millions were in one way or another affected by the Tsunami. The Tsunami brought one of the greatest destructions to millions of people in three different continents. Mr. Shlimon is very accurate in his description of Mrs. Zomaya. She is indeed a Tsunami because she and the other three Christians, who are counted on the Kurdish political groups, are in parliament to destroy any efforts by the ChaldoAssyrian Christians of Iraq. I have stated this before and I will repeat it again, if the Chaldeans, Suryanis, and Assyrians of Iraq did not reunite, rise to the occasion, and feel the urgency of the matter, the Kurds will soon end any hope that they have in preserving their future on their ancestral lands. Foreign missionaries have been working among Moslem Kurds and have converted couple hundreds of them to Christianity. These couple hundred Christian Kurds have the effect of double edged sword. From one side, they fit very well in the Kurdish bigger scheme. They have just convened a conference in Arbil with the blessing of Barazani but the protest of the Kurdish Islamist groups. These new Christian Kurds could be used politically in many ways, which the reader could imagine. Therefore, the Syriac-speaking Christians of Iraq, i.e. members of the Church of the East (both calendars), Chaldean Catholic Church, and Syriac Catholic and Orthodox Churches must reach an understanding about the national name issue and get that name into the constitution that is about to be written and prepare for the December 2005 elections that are on our door steps. From the other side, if this dangerous conversion continued, animosity and tension will rise between the indigenous Syriac-speaking Christians and the Islamist Kurds in north of Iraq and that might lead to disastrous consequence. The challenges are great. The only hope for the Syriac-speaking Christians of Iraq, i.e. members of the Chaldeans Catholic Church, Church of the East (both old and new calendars), Syriac Orthodox and Catholic Church, and Assyrian Presbyterian Church, is in unity that could empower and thus protect them in these new and troubled times. 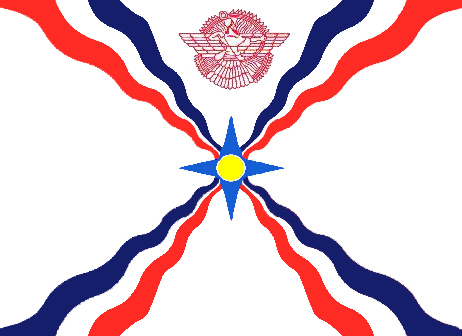 All history records tell without ambiguity that the Assyrians, by all denominations, suffered from the most odious atrocities, compared to any other nation in the Middle East region if not in the entire world, throughout the long bitter struggle for their survival since the fall of Nineveh and until present days. The Assyrian people who converted to Christianity since the early days of this religion were ‘rewarded’ being massively wiped out and almost seized to exist, ironically, not for preserving and protecting their true identity but rather for defending their religious beliefs and the holy cross of Christianity! 11:00 am ot 6:00 p.m.
101 to 23 N. Exit on Janss Road, and follow the signs. 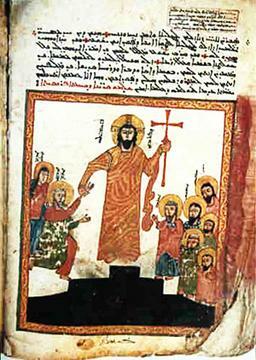 The Ascension day of Christ which is on May 7th this year is observed by all christians around the world and is known as Sulaga D’Maran, but Assyrians on the same Assyrians also observe another tradition which is called Kalu Sulaga or the ‘Ascension of the bride’ in remembrance of a historic event. According to one Assyrian tradition when Tamure Lange in 1400 AD attacked the Assyrian villages in the plain of Nineveh Malik Shalita led the men in defending their homeland and his wife Sarbi, organized the women to provide them with food and other implements while they fought. Young went from door to door to pick up food and take it to the troops. Many of them died in doing so. 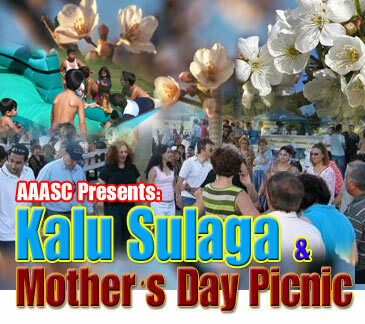 In centuries later Assyrians in remembrance of that event observed the Kalu Sulaga Custom. On that day preteen girls were dressed in bridal clothing and together with preteen boys went from door to door where they were raisons, nuts and other food items which later they ate in a picnic. The Assyrian nation faced the most ruthless and inhuman acts in the history of humanity which reached the utmost in 1915. Nearly three quarters of the whole Assyrian population were brutally massacred from the midst of the 19th century and until the end of WWI. The systematic genocide against Assyrians and other Christians in the region which was committed by the Turkish Ottoman Empire with the help from the Kurds continued for several decades. The result of the ruthless acts of these two Muslim nations during their ‘jihad against the infidels’ was the massacre of more than two millions of innocent Christian civilians including 750,000 Assyrians. The Assyrians who survived the savage massacres were brutally evicted from their towns and villages in south east Turkey and forced to march on feet in harsh terrains and severe weather conditions heading for nowhere! The remnants of the Assyrian nation after their long miserable journey searching for safe shelter and refuge scattered in several neighboring ‘countries’ of which some were just ‘formed’ as direct outcome of WWI treaties that were signed by the Great Powers (England and France at that time) to reshape the Middle East region. Considerable numbers of the Assyrian people lost their reliance on any good will that could materialize from Great Powers policies. Their hopes for help were completely diminished and the deceptive promises of the British to settle the Assyrians in a safe heaven anywhere in the world harmed the Assyrians and put them in much greater danger. Large numbers of Assyrians had rather preferred to make their own choice and thus migrated to the western countries in Europe and North America in which they where settled for good! Nevertheless, and regardless of what decision the Assyrian people made for their living at that time or for their future, they were able to preserve their unique identity, culture, religion and language wherever they settled. They were blessed by the spiritual guidance from their church and by the wisdom of few gifted and brave Assyrian nationalists who always emerged at times of crisis to keep the people bond to each other and to their roots. It is sad to say that despite all the endless bleeding and the miserable events that accompanied the Assyrian people for long centuries, this small blessed nation was totally ignored by the entire world community. The Assyrians were ignored for not being of any direct interests to the Great Powers from one side and by the rest of the international community from the other side because the Assyrians could not convey their message to the world properly. The continuous miserable conditions of the Assyrian people living in our homeland in Iraq and Iran for long decades stimulated their emotions and raised the national awareness. This unbearable situation eventually also opened the hearts and minds of the Assyrians living abroad of Diaspora to help and support their brethren living in homeland. Several political parties and social organizations were formed in Iraq, Iran, Syria, Lebanon, North America and Europe as a result of such increasing awareness. The direct reason for creating these organizations was mainly to present the Assyrian case from political perspective to the world community, which was unfortunately faded substantially due to the absence of solid plans and the insignificant coordination. We will avoid any analysis or evaluation of the political goals and programs of the political parties and their overall achievements being beyond the scope of this discussion. Other goals for these Assyrian organizations were also to initiate local campaigns to help the needy Assyrian families living in Iraq and Iran and later to include those living as refugees in Jordan, Syria, Turkey and Greece as well. However and despite the noble intentions, all these honest efforts fell short in their cumulative results because they were reactive measures in their nature. These efforts lacked the ability to develop any mature and build proactive plans for the future and to improve their goals or expand their services to become solid effective national project. The Assyrian aids programs, unfortunately, were born disabled being very primitive in their perspective despite the good intentions and despite the fact that they rendered significant help to many Assyrian families. The final outcome of the process was ineffective on the national level because it was merely as same as our prayer ‘hawlan lakhma d’sonqanan youmana’ no more! On the other hand, the people had always their own reservations on the mechanism on which the donated money were distributed and whether these donations reached the actual needy families. There are continuous doubts that most of these aids were distributed to families who were of special interests to the organizations and on criteria that is based on tribal, political or religious qualifications rather than the immediate needs of the families! All the social activities conducted by the Assyrian communities around the world were based on local initiatives and were in some instances limited to small fraction of the total Assyrian community in that country. Nevertheless, we must mention also that several Assyrian organizations were able to achieve relatively better forms of building Assyrian coalitions on political, social or financial aspects. However, most of such efforts were deterred later by serious internal conflicts of interests on leadership issues and solemn individual preferences problems. In addition, these organizations did not have adequate coordination with each other and in some occasions this lack of coordination was even within the same entity! Unfortunately and despite the fact that this nation has always acquired adequate numbers of talented, gracious, educated, intelligent and faithful individuals yet this entire magnificent heritage could not help make the desired move towards any significant advancement in the Assyrian national struggle. The absence of any substantial and solid central program on the national level in our homeland or in Diaspora was the single direct and central reason behind not achieving real national advancements. Yes, we have had our churches help thru their congregation support and donations. We had that same support form various social clubs and political organization thru their social activities and events. But despite all these efforts, we did not see yet any real national project emerging with real plans to reach tangible outcome that could benefit the whole nation. We are still awaiting the birth of projects on national level after long decades of having established all these Assyrian organizations in our homeland and Diaspora. We are yet to see projects for building or buying factories, lands or businesses or open investments that could recruit large numbers of our people in homeland. Creating such projects would eventually help our people organize their lives far from being dependant on some occasional charities and donations that could miss the majority of the actual needy Assyrian families. The immediate needs to create significant financial program on the national level must be considered as our first fundamental goal in order to achieve any significant results after long decades of ineffective practice of such political and social activities in Diaspora and homeland. The necessity of having central national program is in its most urgency now than any time before. The Assyrian nation must realize that its survival is in great danger now than any time before. The Assyrian people must realize that it is time for them now to form their National Congress. The new Assyrian strategy must eventually lead to the immediate creation of the Assyrian national funding project. This central national budget that can be created either form merging all of the current isolated financial activities under one central national organization ‘Assyrian National Fund’ or create this new independent institution with adequate coordination with the existing institutions to handle this national project. In either case, the new central national organization would be responsible for financing all types of the Assyrian national political aspects, national business transactions and national social activities. Any Assyrian living anywhere in the world has the full rights to be a member of this Assyrian national organization. The annual fees of membership could be of minimal amounts and depending on the household income and size. There are several facts for any Assyrian to realize and remember about the Assyrian nation at all times. This nation is capable and powerful by its people, its heritage and its history. This nation will survive and advance by the blessing and the wisdom of its old generation and by the resolve and the determination of its new generation. This nation will see the new horizons of prosperity after conquering the last peeks remaining and cross the mountains to the other side for its eternal salvation. This nation is rising again and will reach its destination by the good faith of its devoted men and women those who are working day and night for its advancement. This nation will never fail because it was built on solid rocks that survived 2500 years of oppression and will rise again to create new history for another 2500 years to come. God bless the Assyrian Nation. In order to distinguish one from another, a sheer analytical process is preponderant. National: -- Describes as a person seeking an office on any level within the governmental body in a nation he/she resides, on geographical basis alone. Nationals are individuals inhibiting strictly the societies within the scope above all races, religions and ethnicities. Their tasks are to represent geographic sectors of their constituency. Nationalist: -- While seeking the same offices, a nationalist is ensnared within a nationalistic cause, a movement that could be affiliated with a group of individuals, an ideal, an ethnicity, a religion, or a political entity leaning towards certain elements of a society. Nationalists, however, are not geographical, and are tied to a domain that encompasses numerous factions of citizenry. In multi-ethnic, multi-religious and multi-racial circles, a nationalist is elected or placed into the offices as their representative, and is expected to work on behalf of his constituents at all the levels of his services. Although, in some instances there is a tendency of certain ramifications on both sides of the geographical criteria, the main goal is to retain the loyalty of the ballots cast for each representation to follow through with the agenda such individuals run on, and get elected to their respective seats. In the United States geography designates the number of seats each Representative is to represent. In Iraq, it is the ethnicity and religious affiliation that dictate the Representative to pursue a political course of events. Any, which Assyrian of multifarious ecclesiastic faiths is allotted a Parliamentary Representative seat, is decidedly and coercively to serve that community that has elevated him to his post. This trend is reversible in the selection of a sectarian -- ethnicity or religion -- to a Cabinet position. A person chosen for a Cabinet of a Government is thus responsible solely and absolutely, to the tasks of effectuating his entire labors to the cause of a Government he represents. Thus, a Shi'a, a Sunni, a Kurd, an Assyrian, is expected to strictly follow the rules and regulations of the constitutionality of the State of Iraq, and under no circumstances, the religious or ethnic sectarianism is to supersede this outcome. Such Cabinet Ministers can however at all levels of their assignments, just as before such assignments, continue to retain a cohesive relationship within their ethnic or religious constituents. One must persevere that in stating, that in Iraq, it is predominantly the ethnic and religious entities that coerce the formation and the selection of one of their own to a Government post, therefore, it totally disenfranchises the constitutionality of the Government, and renders it strictly coercive to the deeds and actions of its founding institutions, thus being ethnic and sectarian. Hence, a note of caution is being projected to watch and to observe carefully this trend of political deliverance, so as not to expect horrendous or minute achievements on either ethnic or religious basis for all those groupings that tend to exaggerate the elevation of one of theirs to a Governmental peerage. Masses have to be reminded, and the idea of allowing Ministers to conduct their affairs exactly as per oath they have undertaken, is to be reinforced, both from without and within. The ascendancy of an Assyrian to a Cabinet position in Baghdad is a grand, but a rather expected gesture [See related stories in Zinda Archives, by this author], adding to the decorum and gesticulation of being democratic in scope. Nonetheless one is to keep a constant watch on the forthcoming events, since there shall be a dozen of Shi'a, a half dozen of Kurds, about five Sunni, a Turkoman and one single Assyrian to tackle the affairs of a State of Iraq. Does anyone really expect the sole Assyrian voice can throw some weight around, and outmaneuver the rest of the Cabinet of Iraqi Government? But, there are other nominations just as important: the nomination of an Assyrian to the post of an Ambassador to Baghdad by the Government of Syria, the elected of an Assyrian to the Parliament of The Netherlands, the nomination of an Assyrian to a Cabinet position in Stockholm, election of an Assyrian as a Mayor of a locality in NSW Australia, and continuous re-election of an Assyrian Representative to the House of Congress in the U.S., ought not to imply that Assyria movement is being reenergized and reinforced. The individuals in the service of such highly esteemed positions, and the ones that might follow them, are purely nationals of their adopted countries, and they owe their continuous services to their political and geographical entities, rather than to a nationalism entrenched in them by their genealogical backgrounds. Granted the pride of glorification shall persist on all the occasions, but that has to be the only result felt by Assyrian communities throughout the world, while these individuals serve their terms of offices for which they were either elected or selected. Least let us not forsake their positions, since they will, from time to time, reenact certain moves that might open some doors for our brethren, wherever they might be. Our Representatives in world Governments and their Parliaments are our pride and joy, and we must extend them that gratitude for forging ahead within their lives in any undertaking, and in politics in particular. Another reason to foment an international movement [Lobby] to assimilate all these influential centrists into a single categorizing entity, so that they might exercise their influences, and extoll it all over the world. Once before, in the early seventies, Assyria was blessed with a Representative in the U.S. Congress. Rep. Adam Benjamin (D-IN), served as Chair to the Commerce Committee, one of the highest positions of any Committee in the U.S. House of Representatives, until his death in 1976. Mr. Benjamin was a West Point graduate, but he wasn't the first to accomplish such a feat. There was one more Assyrian who had graduated from that esteemed Military Academy before him. Next came the election of Ms. Anna Esho (D-CA) to the U.S. House of Representatives. The distinguished Ms. Esho although not obligated by her constituency to extend an arm to help her brethren, does so with an open mind and heartily. We hope that our expectations do not multiply to detract our brethren from public services, to which they were elected and/or selected, and that we continue to look at their services for their countries at an arms length, rather than to alienate them from ourselves. Subjective, adjacent and concomitant, political, social, judicial and socio-economical ideologies are the contriving factors in any given circumstance encompassing an election. Constituencies are harboring their own benefits, thus, they opt for electing individuals with inclinations to sustain their demands, or to multiply such demands. This phenomena, is known as 'a political accommodation' or 'a political placidness'. There is an infinite supply of opinions on the subject of freedom. "Freedom is nothing more than the ability to choose. When given careful thought, there is more to freedom than just choice. Where does freedom come from? If we are free to make decisions, where do our choices come from? What is the origin of freedom? That very question is the foundation of [my] concept of freedom." [d'Holback]. He continues: "…actions of man are 'necessary consequences.' Just as defined in physics, all actions have a cause, and if analyzed completely, all human actions can be predicted precisely." Given this analysis, a choice in selecting an option to vote must persist in all political undertakings in a 'nationally geographical election'. A dedicated and a well educated young man with an Assyrian genealogy is running for 18th Congressional District against the incumbent Rep. Dennis Cardoza (D-CA) in the next year's race for U.S. Congress. Mr. John Kanno has chosen his political path and all constituents and non-constituent Assyrians must adhere to his right of political inclinations. Mr. Kanno is on the Republican ticket. It is a first for an Assyrian, but there must be a first somewhere, sometime. Mr. Kanno has a long established political career behind him, and he has been hosting a number of lectures and seminars in his youth on this subject. The Republican ticket demands the newcomer to embrace all that there is Republican agenda, its merits and its fiascos. Some Assyrian constituents of the Central Valley -- Modesto/Ceres/Turlock -- in particular may have a great deal in common with Mr. Kanno's policies, but a great many more Assyrians are politically aligned with his rival, a two-term Congressman, Rep. Cardoza. In general, Assyrians ought not to become racists, sycophants or extremists in their choices, but rather alarmists in their search for political ideals and whatever the results thereof. It thus becomes a question of moral versus principle. The former is indignantly abstract and the latter is concrete. What more does one see in the perspective of existing or supposedly existing footing on the political or socio-political arena? Obviously, most will respond to their principle, perhaps with a slight reservation, but not many shall follow their moral beliefs on such issues as life, economics, family, income, security and other accoutrements in life. Do really Assyrians worry about man-to-man or woman-to-woman marriages? Do really Assyrians scorn Democrats, some of whom had voted against the $87 billion and other just as hefty bills for exacerbate fire and blood on the helpless populace of Iraq, in the name of democratic ideals, but not its deeds? Does an Assyrian woman need a law to prevent her from her choices of giving birth or aborting it? Wouldn't that woman give up her freedom of choice for some law, lambasting the exercise of choice? Choice is satisfaction. Satisfaction is life. Life is freedom. After millennia that word 'freedom' is within the palms of your hands. Keep it, and use it. When Assyrians go to the polls for selecting a national politician, their best bet is to cherish and to exercise that freedom of choice that will entail all around them, perhaps at a slight damage to their pride. Pride pays a high price, and one of them is to surrender to forced choices. "There are times in any life in which forced choices are made to create harmful situations. These times are natural, and the discomfort in such moments is apparent, but decisions are made and life goes on." Whenever the same Assyrian goes to the polls to vote for a candidate seeking to represent his nationality, then, obviously there is only one choice. And, since it is the only choice, it thus ceases of being a choice, and takes a shape of a definite stand with the candidate and his policies. Mankind is an intelligent being, and what intelligence one possesses has provided a firm foundation for good, and hopefully long-lasting life. Opt for it. Opt for intelligence endowed in you in any endeavor that affects your life, and the life of those you cherish most. Mr. Sami Yako (center) was one of three judges at this year's Assyrian Songs Festival in Aahrus, Denmark. The Assyrian Airline is under construction in London by Mr. Sami Yako, the satirical Assyrian playwright, comedian, actor and drama producer. It is rather a play. As Sami Yako explained it, the play is going to shake up the Assyrian youth. 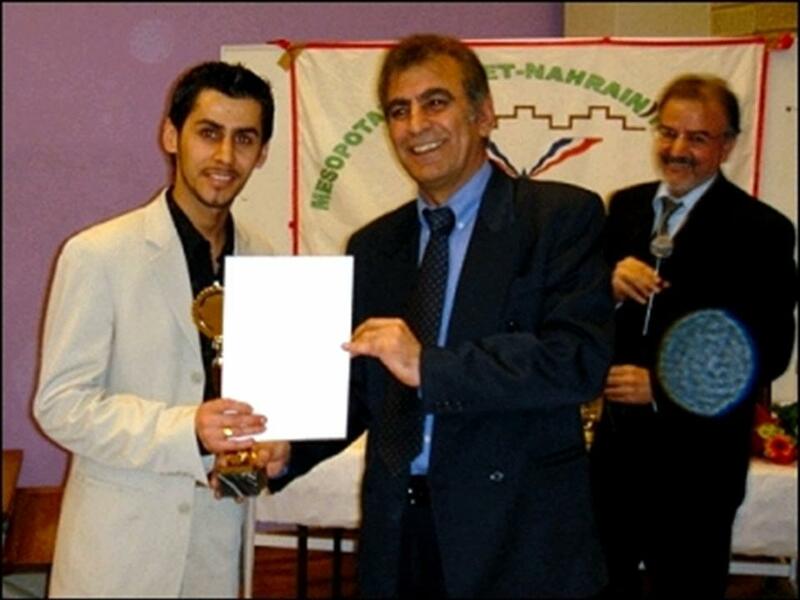 Sami Yako was one of the three judges invited by Bet Nahrain Society to the first Assyrian Songs Festival held in Aarhus, Denmark, on April 23, 2005. The other two judges were the Assyrian painter, Sardanapal; and the Assyrian singer, Suad Elias. Van Edmon "Batelta wat ya donie"
Dawood Envia "Ana Atoraye wen"
Miashel Bet Sako "Khoma d'Ormi"
Ninwe Taia "Le bayanon ane khaye"
Sargon Kanon "Let la peda"
Zia Odisho "La le la wita"
Assyrian entertainers are lined up to receive judges' scores on their performances of the old and new Assyrian songs. About 350 people attended the First Assyrian Songs Festival and each was given a card to nominate the best songs. The overall consensus by the audience was that all songs deserved equal accolades. However the three judges gave the first prize in the Best Old Song category to Van Edmon and the Best New Song to Sargon Kanon and Salim Albaz. During the interval a group of youngsters entertained the audience with Assyrian folk dances wearing colorful traditional costumes. As most of Sami Yako plays are about the Assyrians, their habits, activities, attitudes, he was asked about his opinion of the Assyrian youth. "The Assyrian youth are clever, intelligent, know everything about computers, cellular phones, and viagra, but few can read their mother language," commented Mr. Yako. Sami Yako was born in Dibbis, near Kirkuk, on 25 December 1948. His family moved to Baghdad where he attended the Fine Arts Academy and studied in the departments of drama, acting and play production. He has performed seven of his plays in Baghdad and twelve in London. The London plays are available in video.